Breakthrough Smart Silicone™ chemistry uses less silicone leaving more room in the lens for built-in channels of moisture and provides optimal lens softness over other silicone hydrogel daily disposables. Delivering on comfort: MyDay® utilises Smart Silicone™ chemistry to deliver an exceptional patient experience. The technologically advanced silicone channels in the MyDay® material transport oxygen so efficiently that less raw silicon is required. This sustains inherent wettability and facilitates optimal water content. Advanced lens design provides a more natural feel. To further enhance patient comfort and satisfaction, MyDay® lenses incorporate an advanced lens design, with a smooth lens surface and rounded edge, providing a more natural feeling as the eyelid glides effortlessly over the lens. And to help promote long-term ocular health, MyDay® lenses’ built-in UV protection* filters 85% of UVA and 96% of UVB rays. 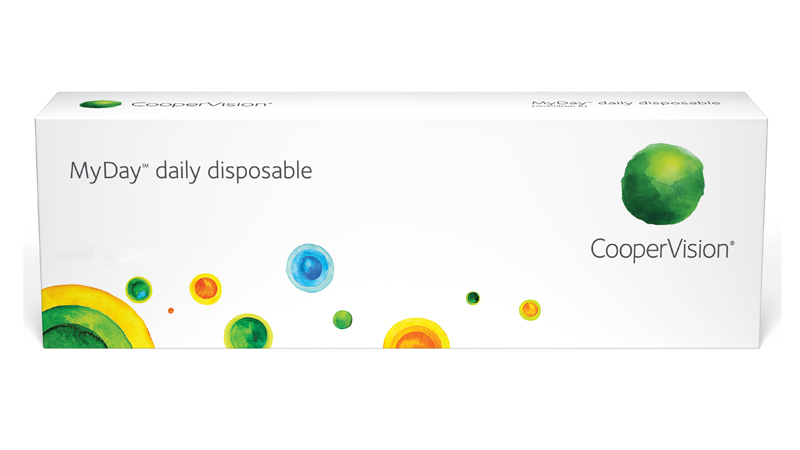 Talk to your patients about the unsurpassed comfort of MyDay® daily disposable contact lenses - an excellent choice for new patients and an easy upgrade for your current hydrogel lens wearers. 1. Brennan NA: Beyond Flux: Total Corneal Oxygen Consumption as an Index of Corneal Oxygenation During Contact Lens Wear. Optom Vis Sci 2005. †. High oxygen transmissibility promotes clear, white eyes. CooperVision data on file, 2014.